These days, cell phones are not cheap – they can cost upwards of $500. You need to protect your investment and one of the ways of doing this is by adding an invisible screen protector. This will prevent your screen from getting scratches whether you have it in your pocket or have keys rubbing up against it in your purse. Screen protectors come in a variety of shapes, sizes, quality, and price. I have tried the $3 for a pack of 5 variety, as well ones that are up to $15 each! The best bang for your buck that I have used is by a company called Skinomi . 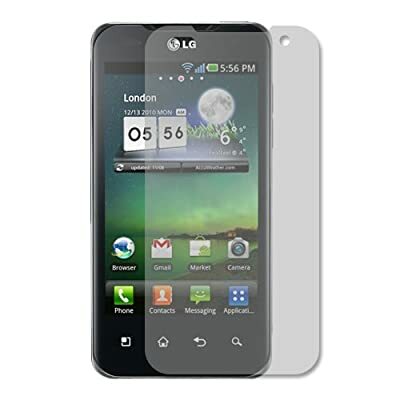 They produce top-quality screen protectors that won’t peel off, are easy to clean, and come with a lifetime guarantee! Skinomi screen protectors can range from $10-$15 which may seem a bit steep, but in the long run you end up coming out ahead since you won’t have to replace it every a few months. Click here to check it out! The HTC Sensation screen protector is now available! Zagg also offers some excellent choices in phone protection films and cases. I have not personally tried these, but they receive great reviews on other websites. I bought the skinomi screen protector for my G2x and it is great! No more messing with those cheap ones that peel off from the store. For $8 with free shipping, you can’t beat it. My experience has been very good with the skinomi body protector, I am still using the screen protector that came installed from the factory on the G2X, I’m just waiting for it to get worn out, then I will install the skinomi. I used zagg on my previous unit and it lasted a long time, 4 years, but at the end it had turned yellowish and the glue on the back had started to come off due to exposure to high humidity and heat during summer but it was a very nice product also. Thank you for making this web page and putting all this info here, I really appreciate it.